Twenty-two strains of Bifidobacterium, representative of eight major species of human origin, were screened for their ability to transform the isoflavones daidzin and daidzein. Most of the strains released the aglycone from daidzin and 12 gave yields higher than 90%. The kinetics of growth, daidzin consumption, and daidzein production indicated that the hydrolytic activity occurred during the growth. The supernatant of the majority of the strains did not release the aglycone from daidzin, suggesting that cell-associated β-glucosidases (β-Glu) are mainly responsible for the metabolism of soybean glyco-conjugates. Cell-associated β-Glu was mainly intracellular and significantly varied among the species and the strains. The lack of β-Glu was correlated with the inability to hydrolyze daidzin. Although S-equol production by anaerobic intestinal bacteria has been established, information on S-equol-producing bifidobacteria is contradictory. In this study, 22 bifidobacteria failed to transform daidzein into reduced metabolites under all the experimental conditions, excluding any role in the reductive pathway of daidzein toward the production of S-equol. 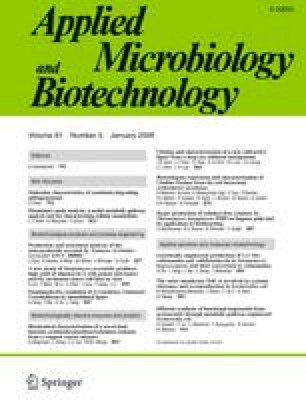 These results suggest that selected probiotic strains of Bifidobacterium can be used to speed up the release of daidzein, improving its bioavailability for absorption by colonic mucosa and/or biotransformation to S-equol by other intestinal microorganisms. This study was partially supported by a grant from Anidral/Probiotical Ltd, Novara, Italy.